Smyth-sewn for durability and a flatter writing surface. 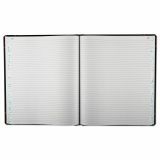 Boorum & Pease Record Ruled Book, Black Cover, 150 Pages, 10 1/8 x 12 1/4 - Bound book offers single-page forms, 44 lines per page, and a table of contents page. 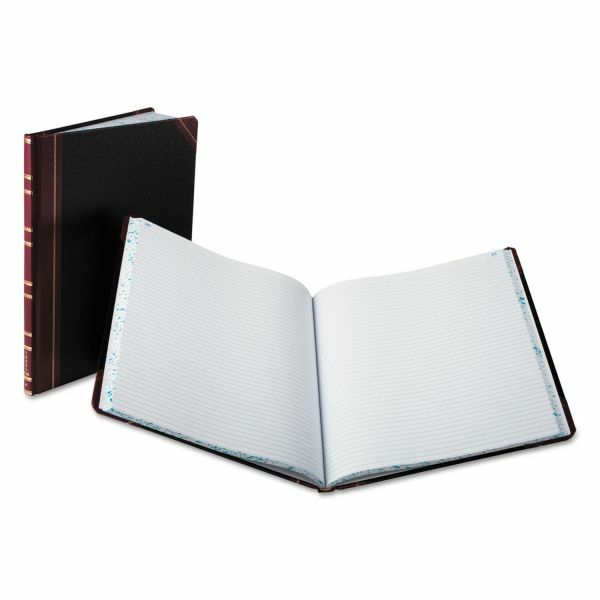 Each page is numbered and made of premium, white bond paper. Paper is acid-free and section thread sewn. Red and blue faint rulings are permanent. 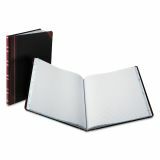 Sturdy cover features a red spine and corners. Black covers with red spine and corners.